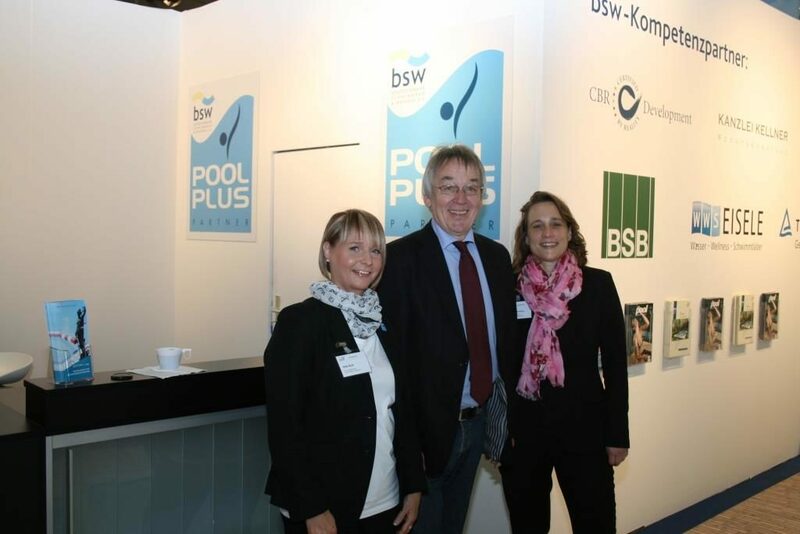 Right in there rather than just present – bsw has put up its “aquanale Tent” centrally in Hall 6. A warm welcome to Stand 6 D 50. Here is the sector meeting point, the information desk and the knowledge exchange. We have, among other things, a 10-point document for successful salespeople, a facial expression information sheet, free legal advice, technical tips and information on standards. Communications expert Martin Wiedemeyer of CBR Development is ready to provide advice, as are technical expert Frank Eisele of WWS Eisele and lawyer and notary Andreas Kellner of the firm Kanzlei Kellner. Andreas Kellner, Martin Wiedemeyer and Frank Eisele are waiting for you! If anyone would like tips from the experts, please make an appointment by 23 October via Ute Wanschura by email (wanschura.bsw@einzelhandel.de) or telephone (+49 (0)221/27 16 692). Britta Bellen of the TÜV-Akademie is also on site and will present the TÜV distance learning for swimming pool builders. 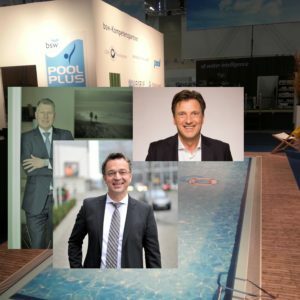 Representatives of Kober-Verlag are there to display the sector magazine “pool”. And the team from “Schwimmbad & Sauna” is “right next door”. All that’s missing now is you: with the “Pro-aquanale” voucher code you will receive here free of charge admission tickets after registration.